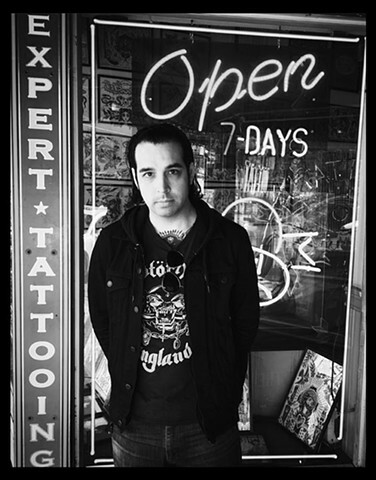 Paul Dobleman, Bay Area tattoo artist, was born in the city of San Francisco, where much of his influence could be traced back to his early family life. His father a talented motorcycle painter and airbrush artist, inspired his passion for the arts from a very young age. While his mother, a fortune teller and flamenco dancer, provoked thoughts and imagery of gypsies and mysterious women. Having grown up in such a household it's no wonder Paul's take on art and tattooing adapted so well into a nostalgic rendition of classic, turn of the century, American tattoo designs. Today you can find Paul Dobleman's paintings and tattoo flash in shops all around the world.